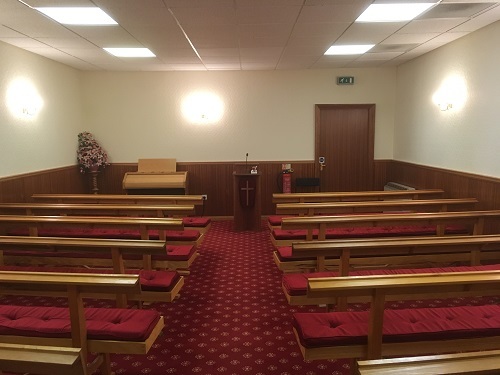 We offer the use of a well appointed service room or parlour where funeral ceremonies may be held. Our resident organist is available to provide musical accompaniment. 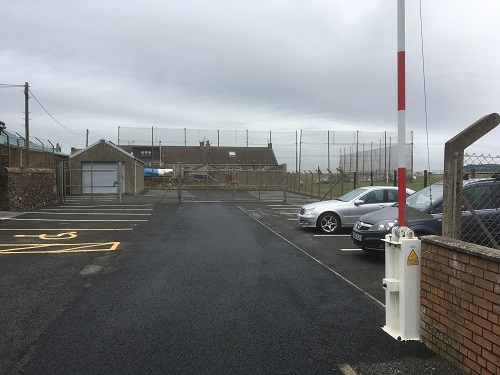 Our funeral premises at Seabank Street, Saltcoats, are easily accessed from Canal Street and benefit from an extensive private car parking area. Dedicated disabled parking bay allows for easy access by ramp to main entrance. Our uniformed staff will be on hand during a funeral to offer every assistance. 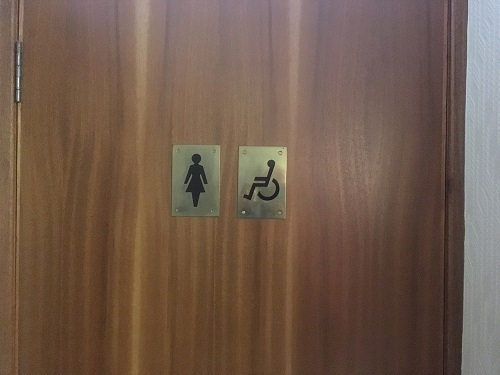 Easy access, with extra wide doors and hand rails for disabled visitors is available in the foyer area, in addition to the normal facilities for ladies and gentlemen. An induction loop has been fitted to our service room which allows those who have a compatible hearing aid to switch to the “T” position. A PA sound system allows favourite pieces of music to be played on CD. Where it is desired to pay respects to the deceased, this may be done in peace and privacy within the premises. 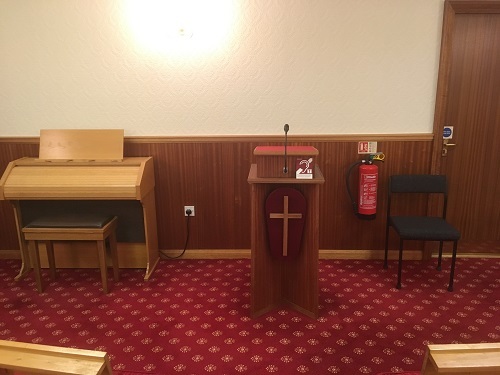 Our funeral premises at Seabank Street, Saltcoats, are easily accessed from Canal Street and benefit from an extensive private car parking area, for the exclusive use of clients and mourners attending funeral services. Dedicated disabled parking bay allows for easy access by ramp to main entrance. 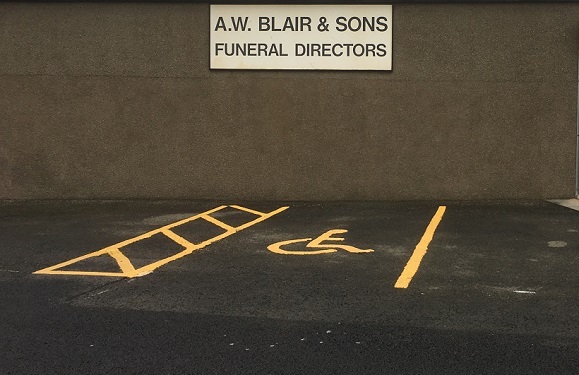 Our uniformed staff will be on hand during a funeral to offer every assistance and to attend vehicles left in the car park during funeral services. An induction loop has been fitted to our service room which allows those who have a compatible hearing aid to switch to the “T” position. 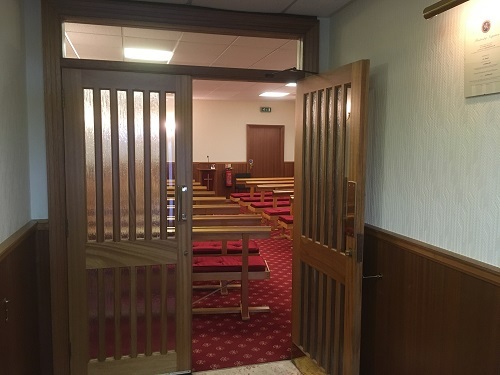 The hearing aid loop can be heard from all seats in the building and is switched on during all our services. In cases where a large attendance is anticipated, it is possible to relay the service to the foyer and beyond so that everyone can hear.